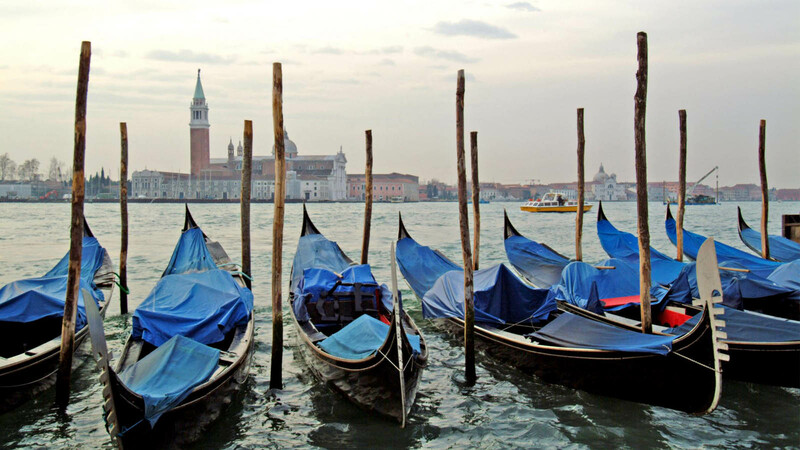 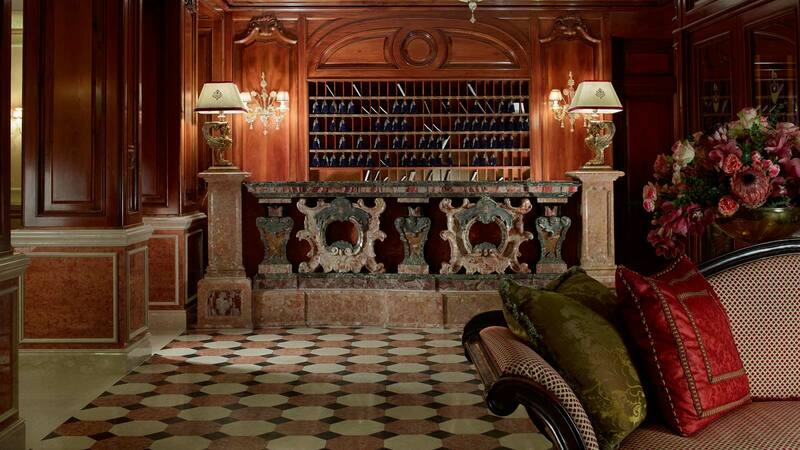 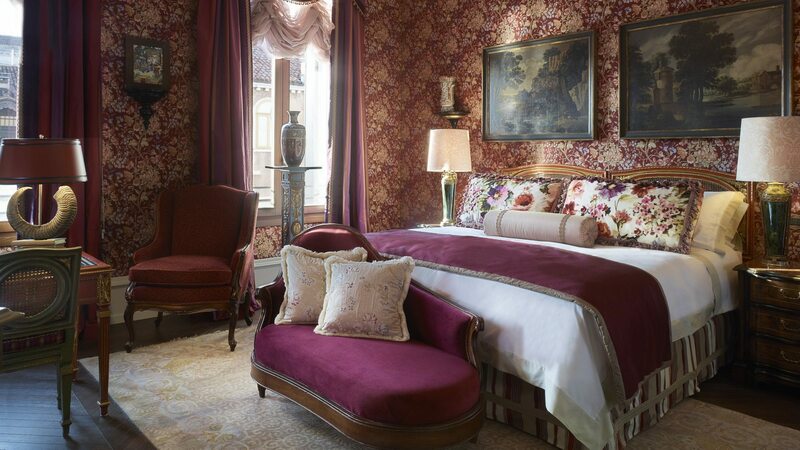 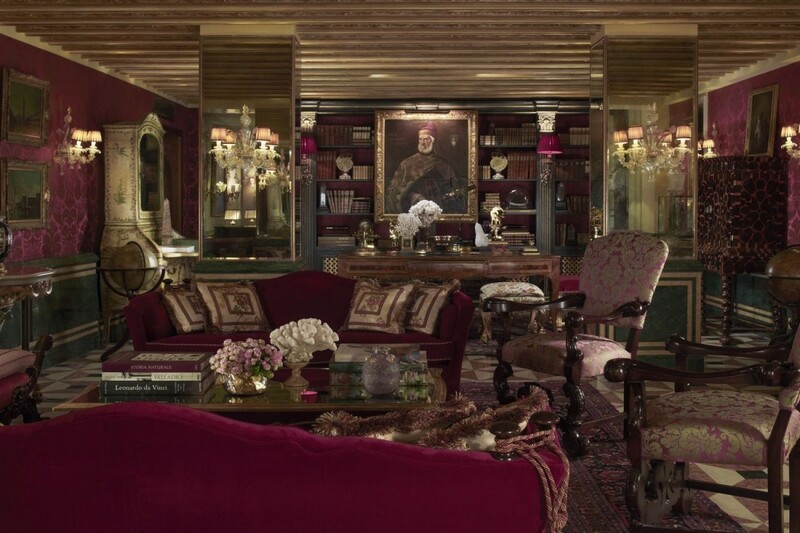 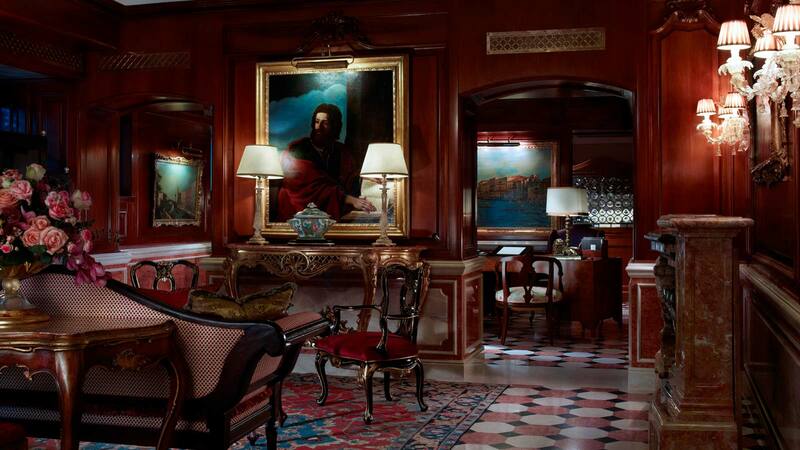 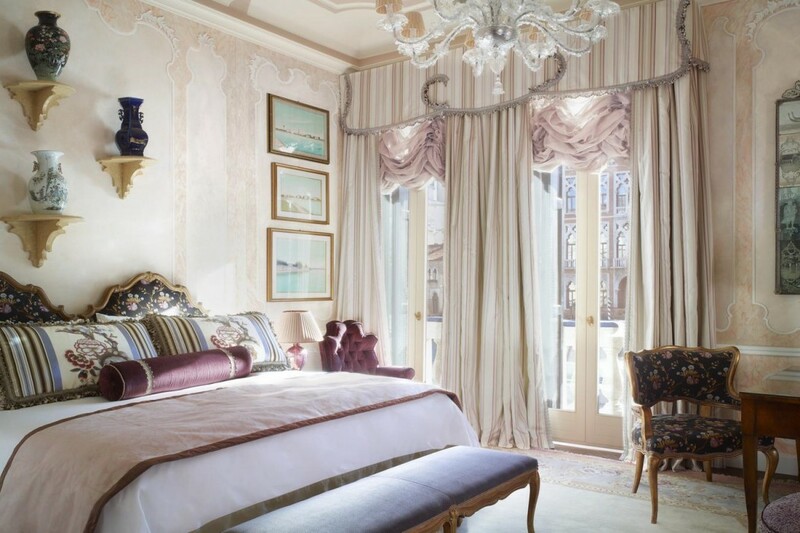 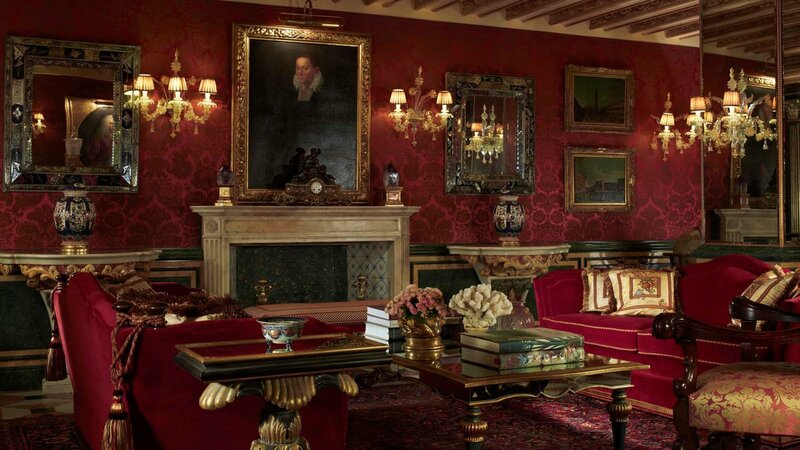 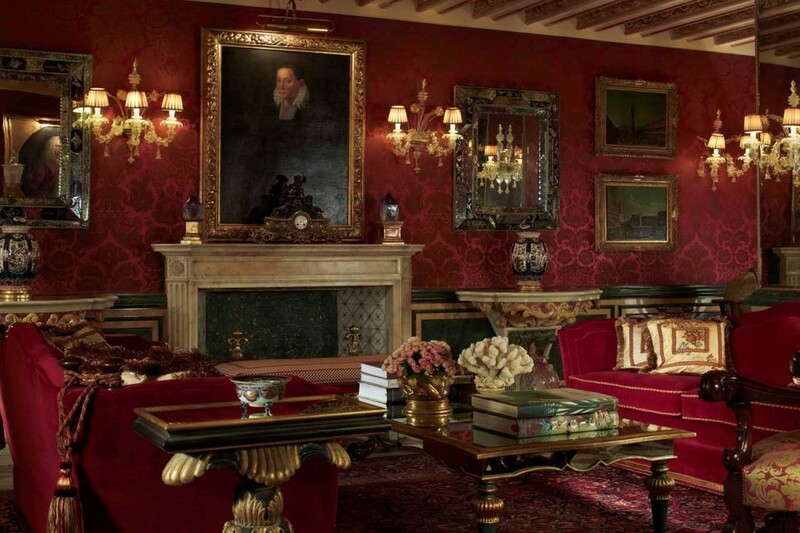 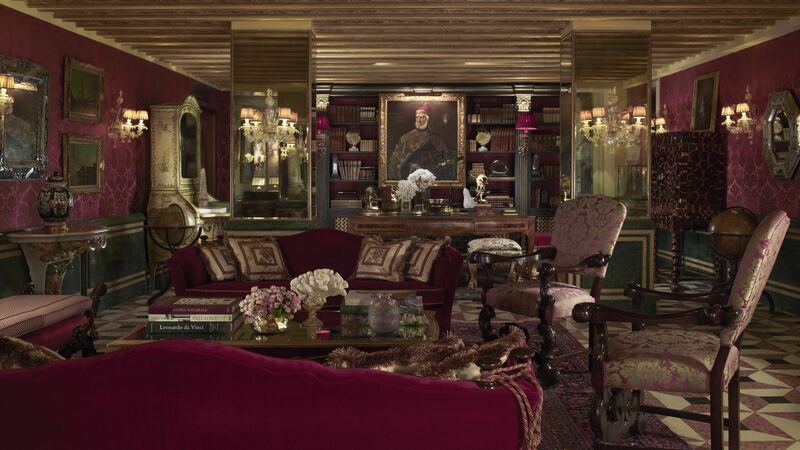 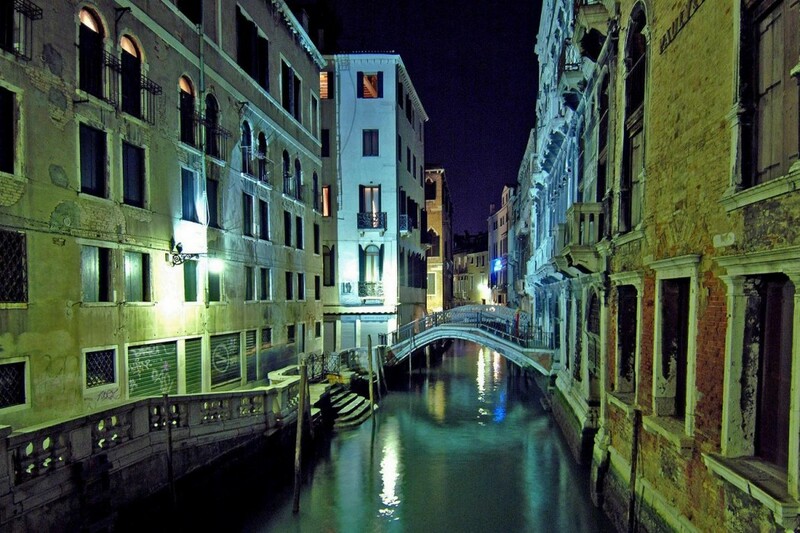 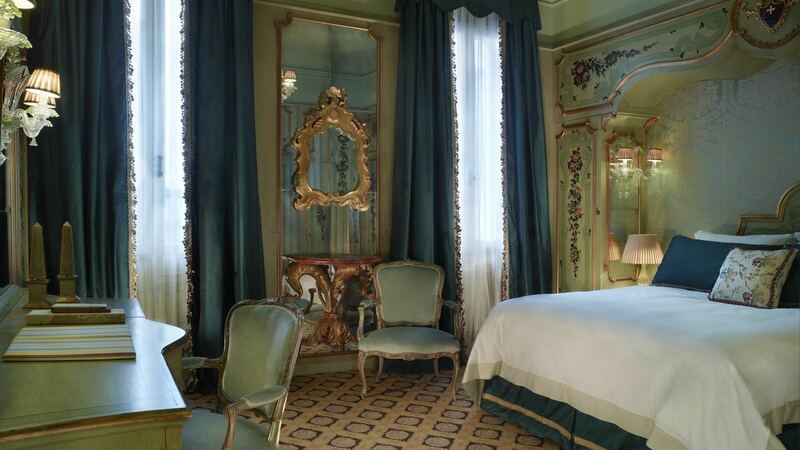 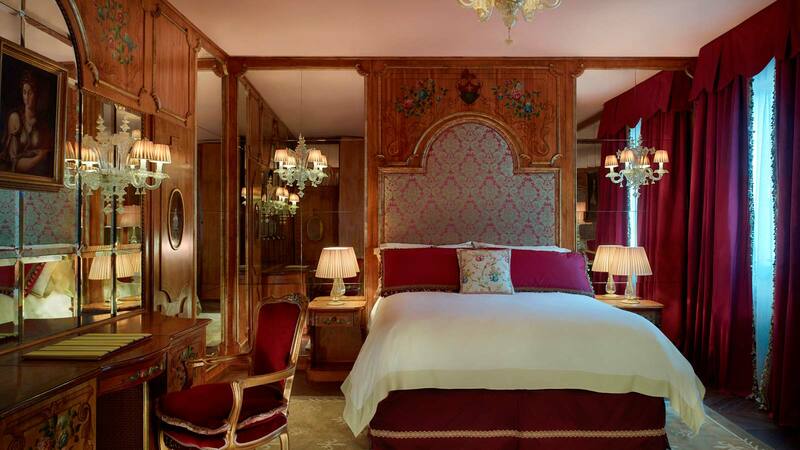 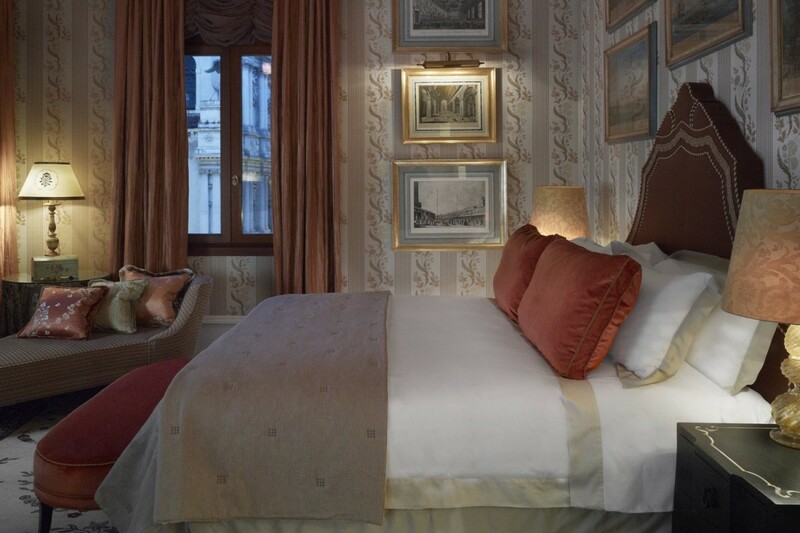 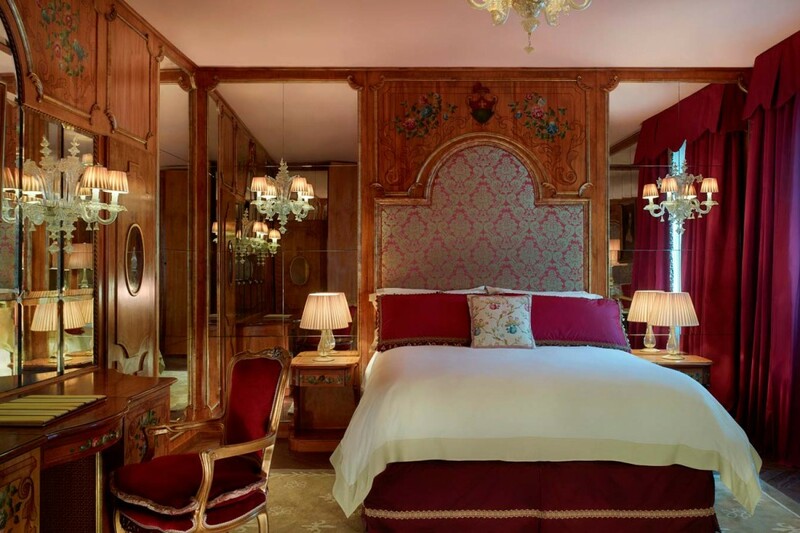 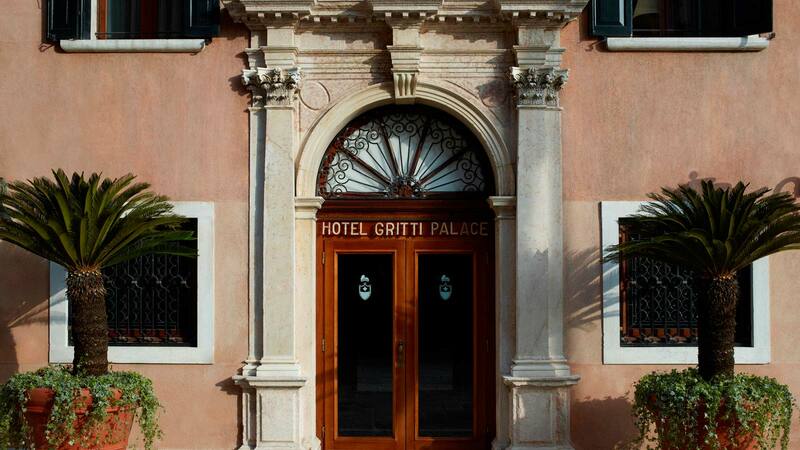 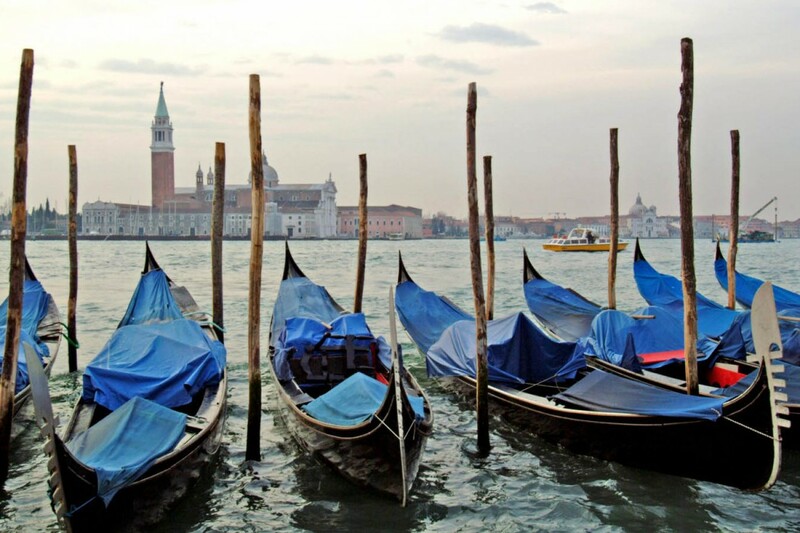 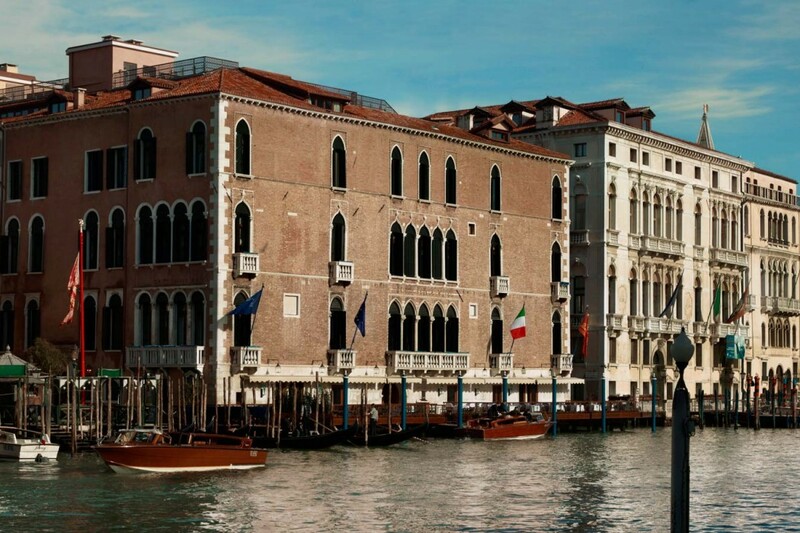 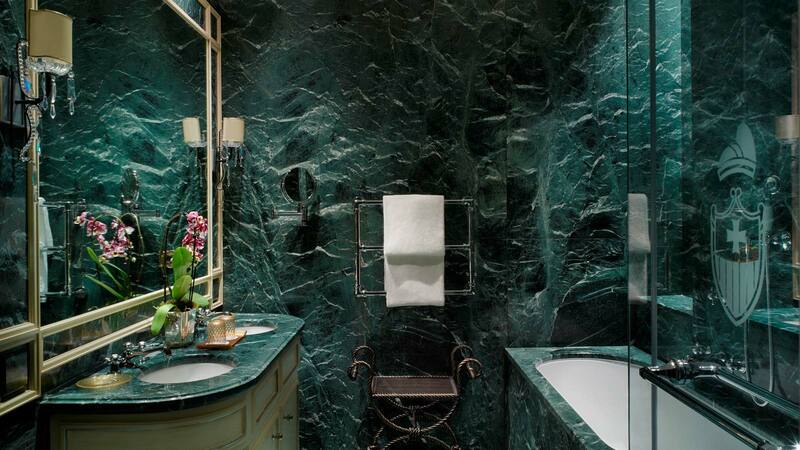 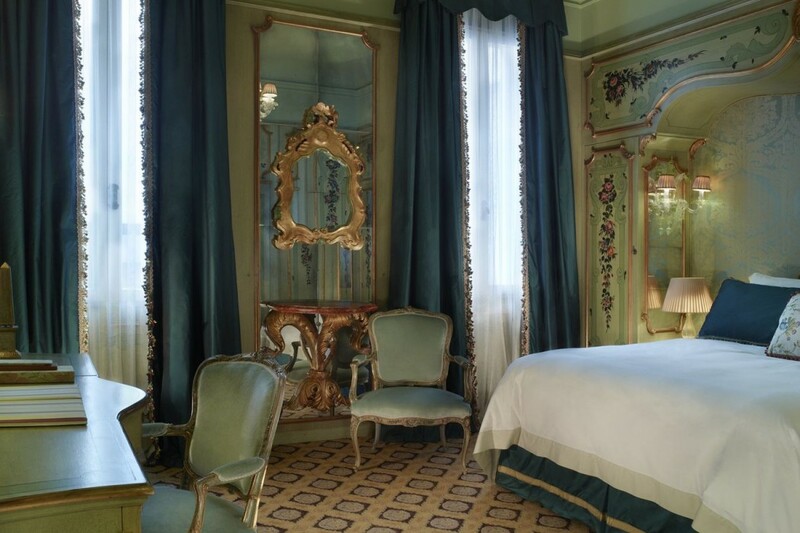 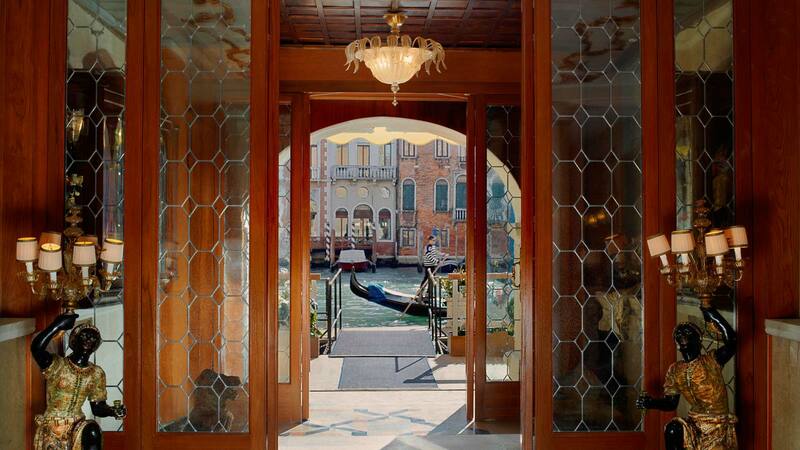 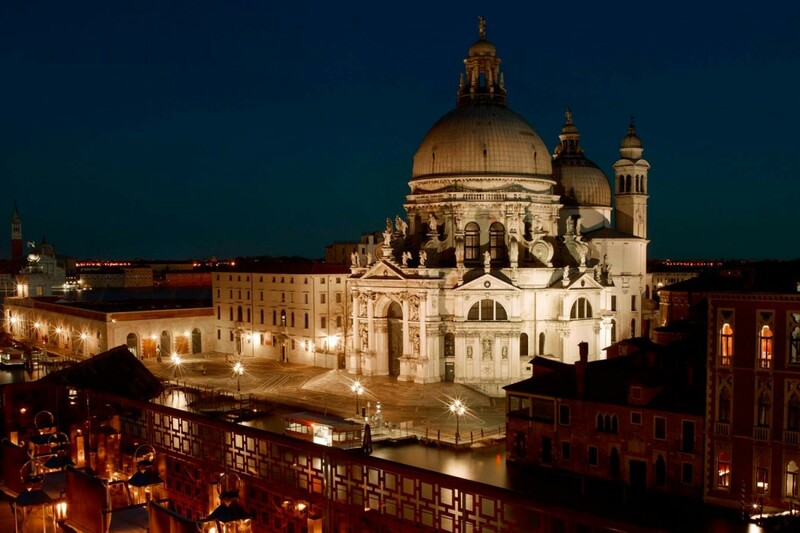 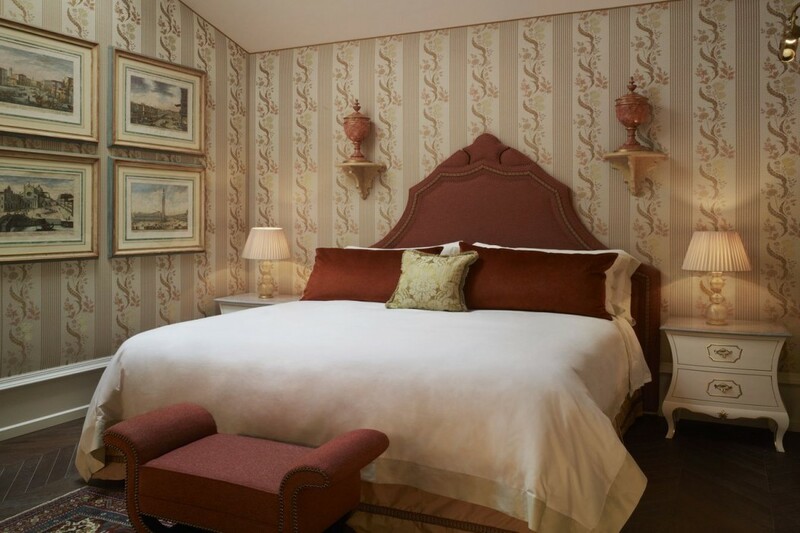 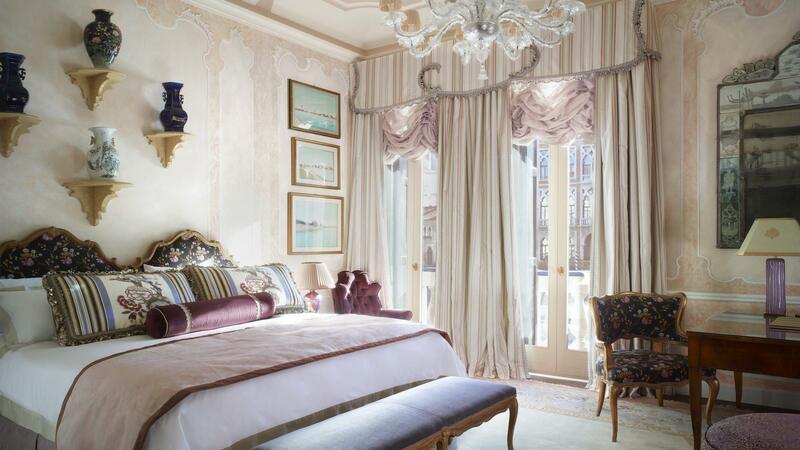 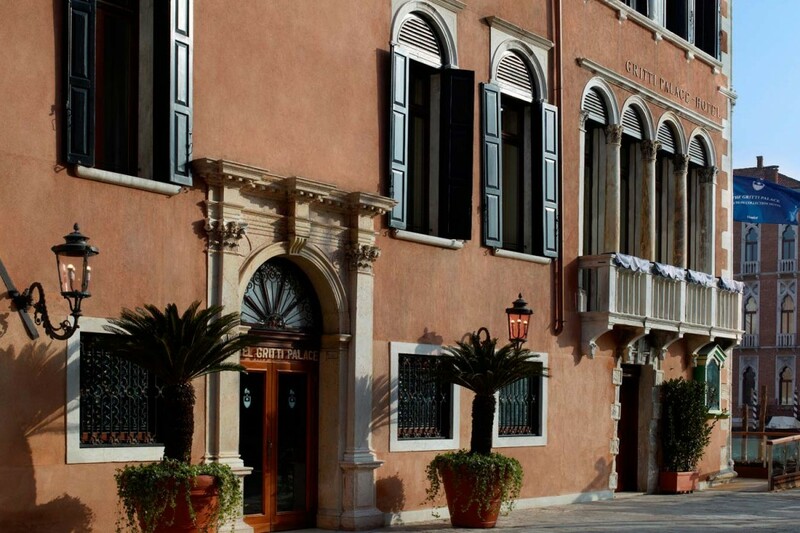 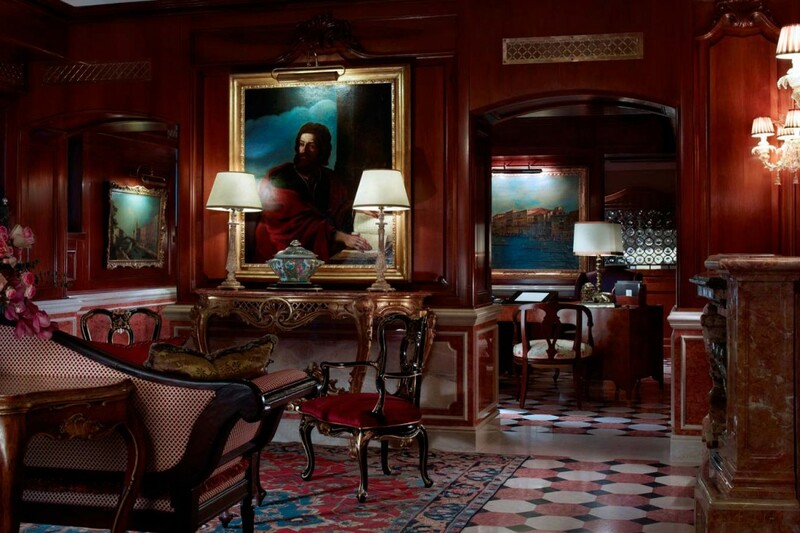 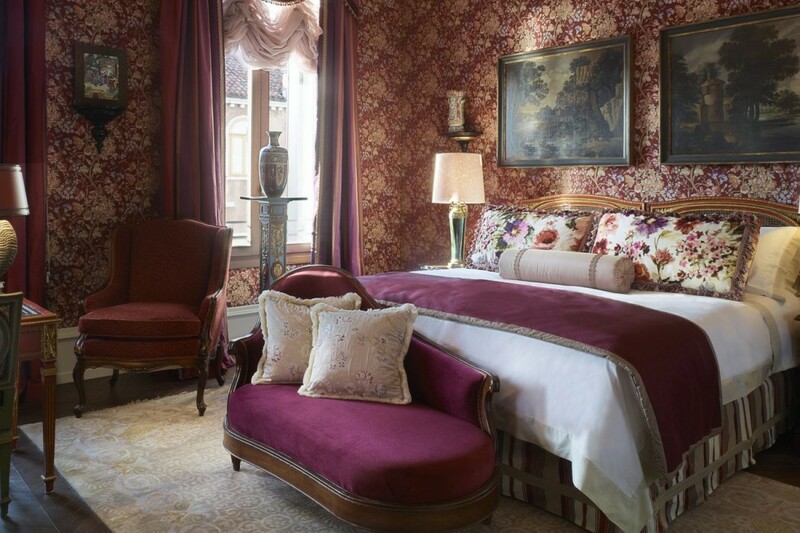 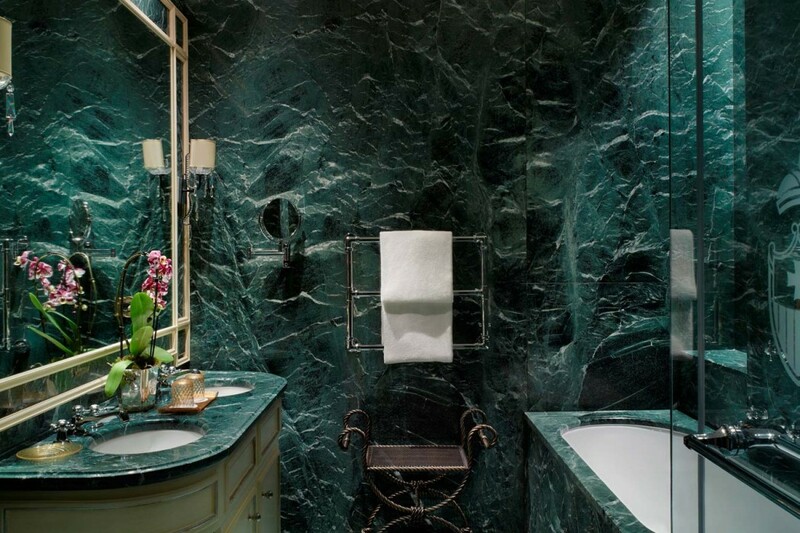 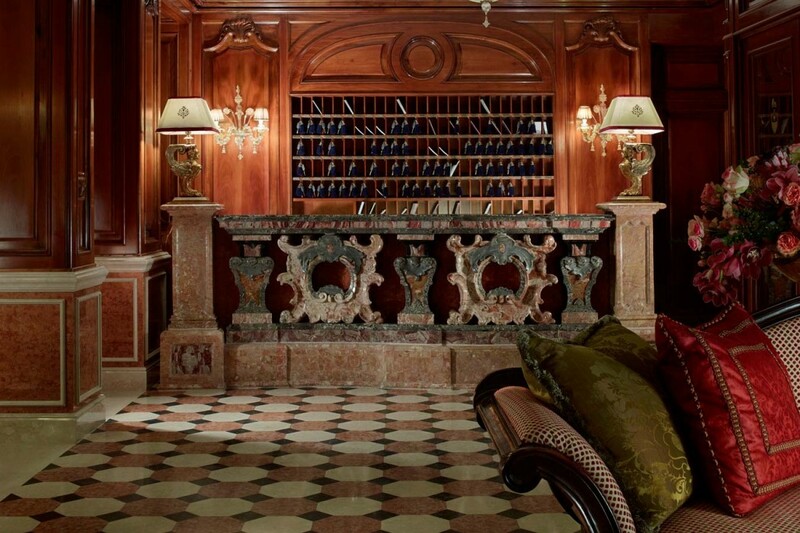 The Gritti Palace is where history and culture meet with renewed Venetian style. 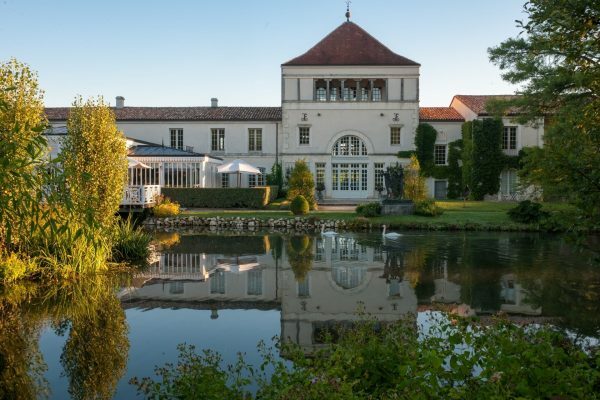 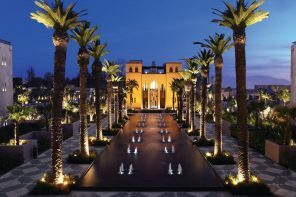 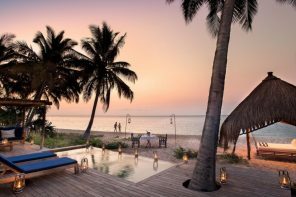 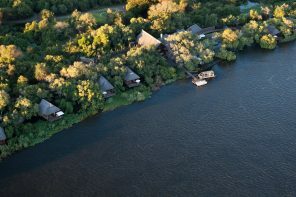 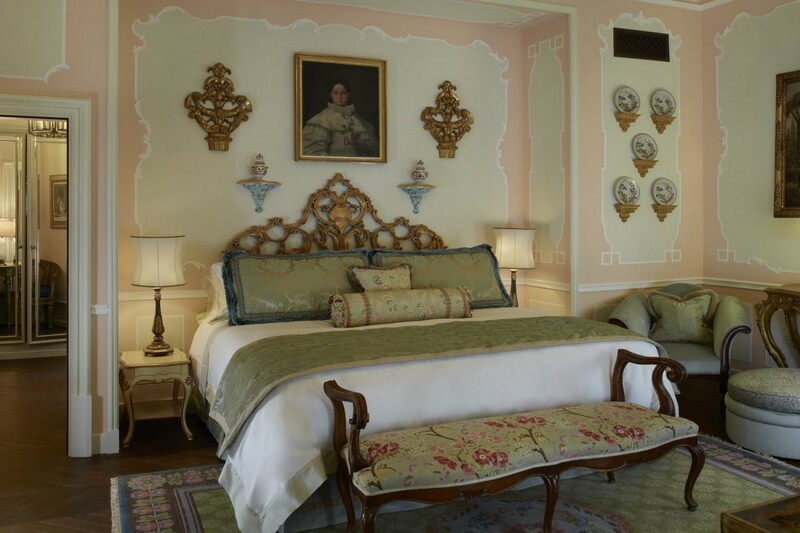 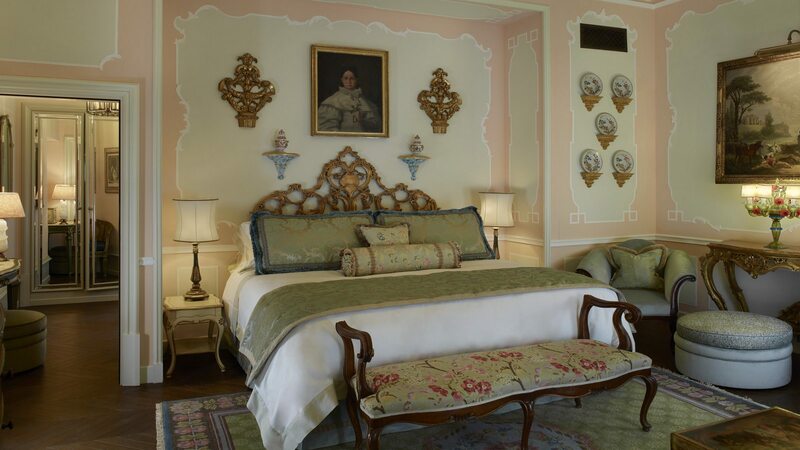 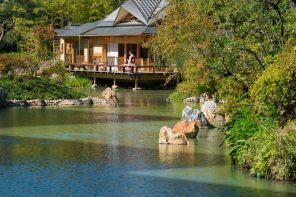 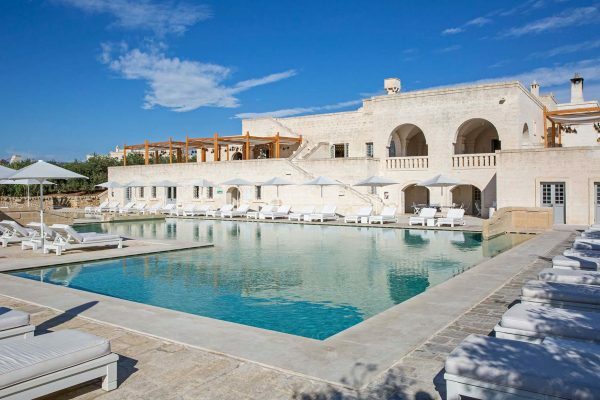 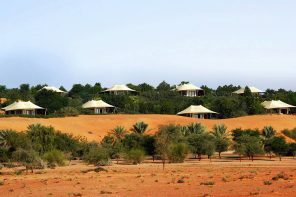 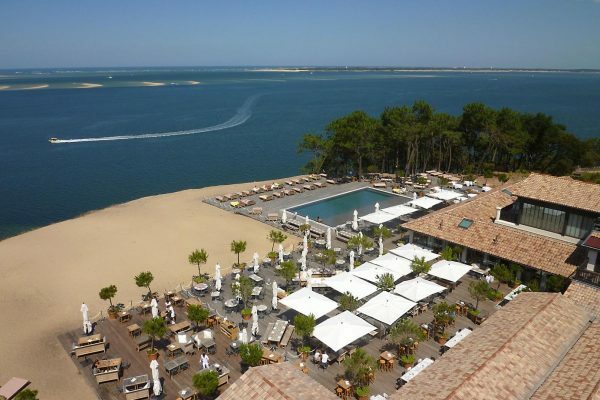 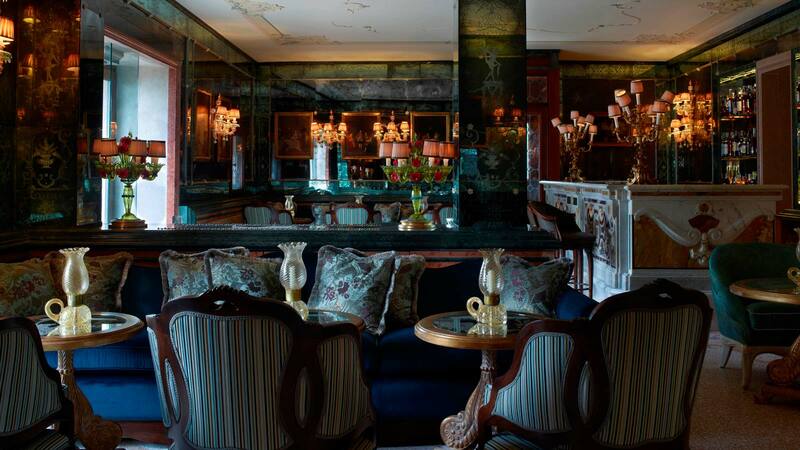 A place of exceptional art and elegance, reassuringly intimate with a homely feel. 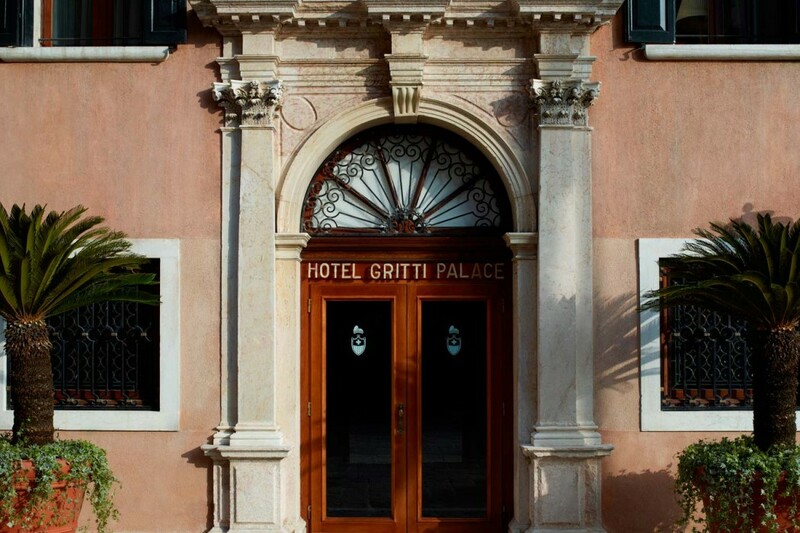 The Gritti Palace is where multiple generations of elite global influencers gather to socialise, draw inspiration, and celebrate. 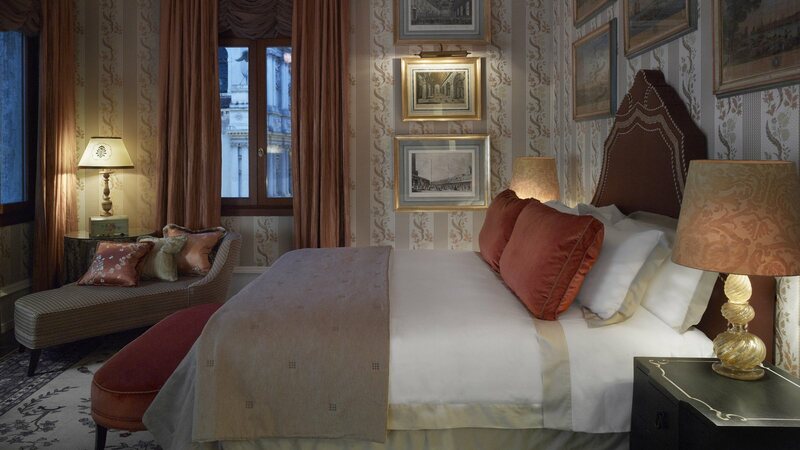 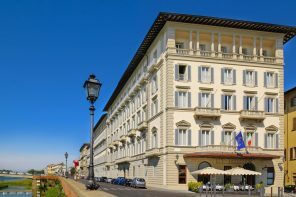 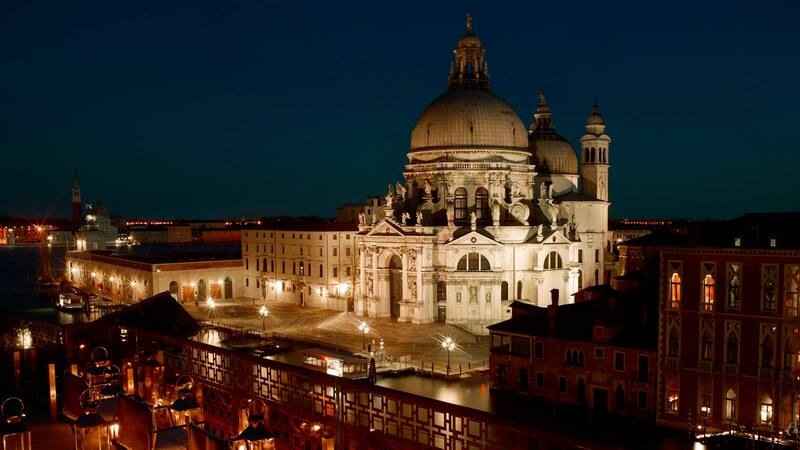 Directly overlooking the Grand Canal, with an incomparable view of Venice, the Palace of the Doge Gritti is now one of the most celebrated hotels in the world. 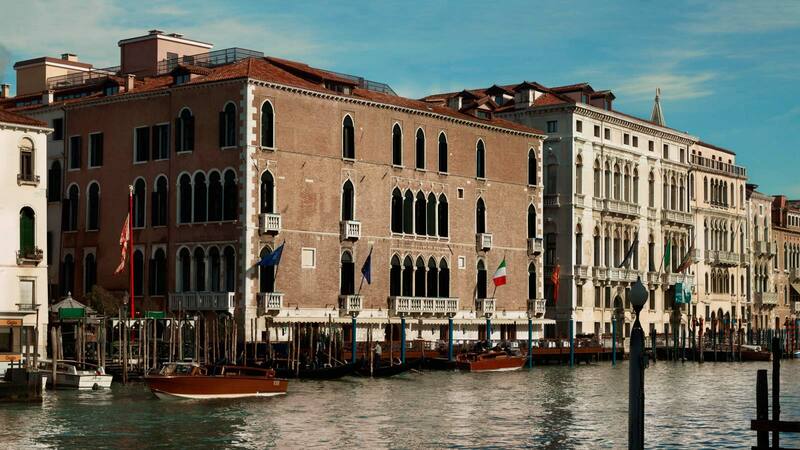 Commissioned in 1525 as the residence of the Doge of Venice, Andrea Gritti, the Gritti Palace was later used as the official residence of the Vatican’s ambassadors to Venice. 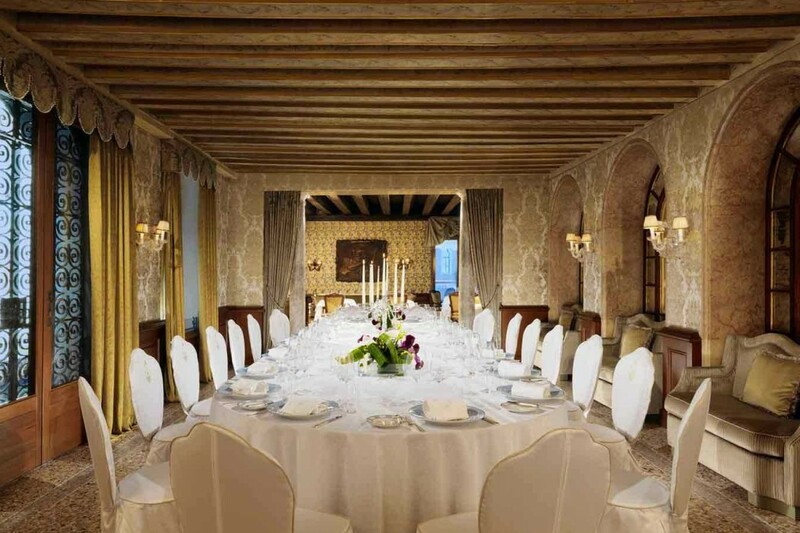 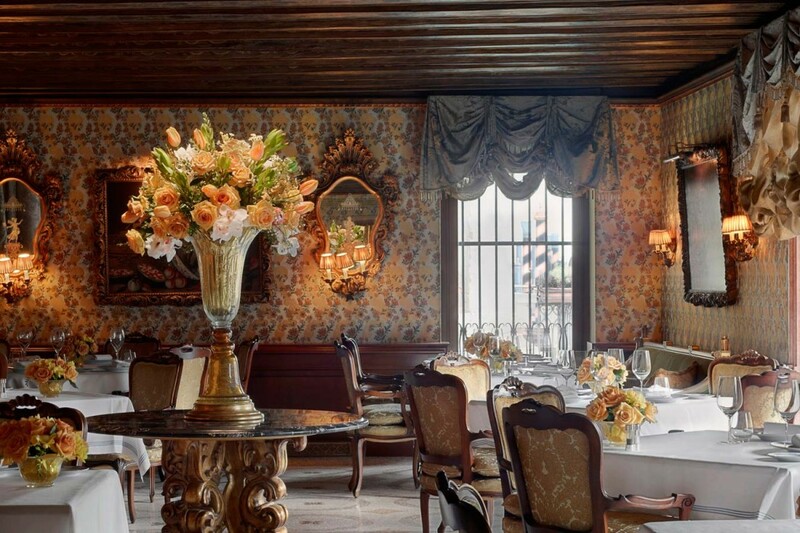 The Hotel Gritti Palace continues to attract elite guests, with luxuriously appointed rooms, attentive service, and the savoury cuisine of the Restaurant Club del Doge. 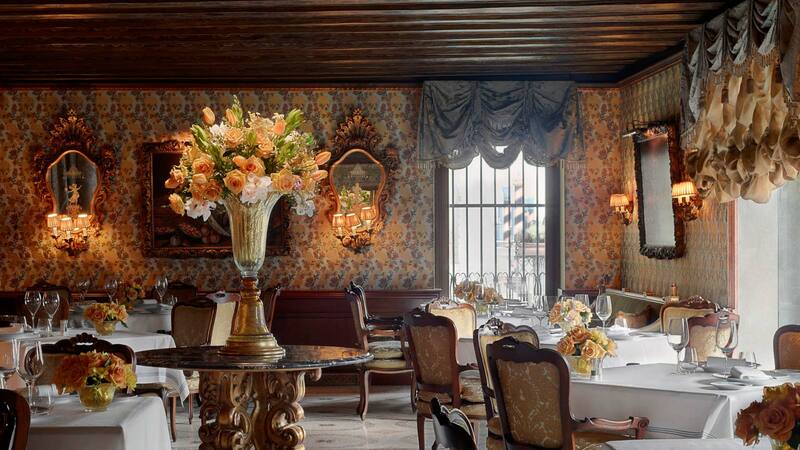 The Gritti Palace offers following facilities and amenities: Business Center, Executive Retreat, High Speed Internet, Boat Service, Concierge Service, 24 h Room Service, Transfer Service, Outdoor Pool, Rooftop Terrace, Beach Club & Pool nearby: Private round-trip boat service is available to Venice Lido, where two sister hotels have private pool facilities. 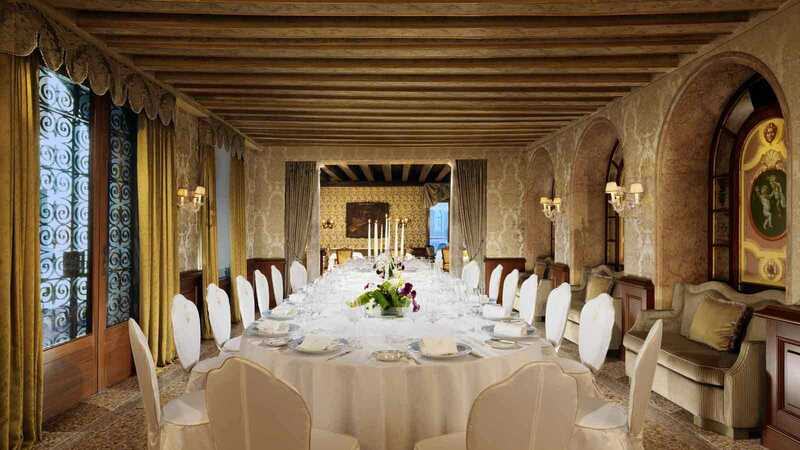 Two meeting rooms that can accomodate 40 and 90 people respectively. 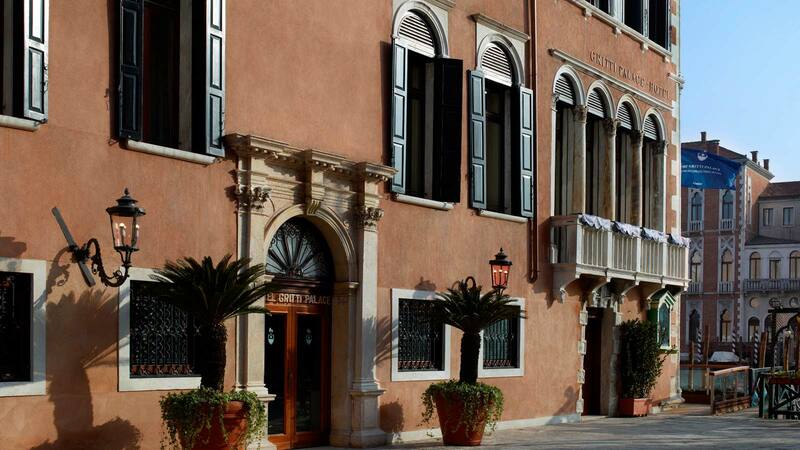 Welcome to the Acqua di Parma Blu Mediterraneo Spa at the iconic The Gritti Palace Hotel in Venice, just steps away from Piazza San Marco. 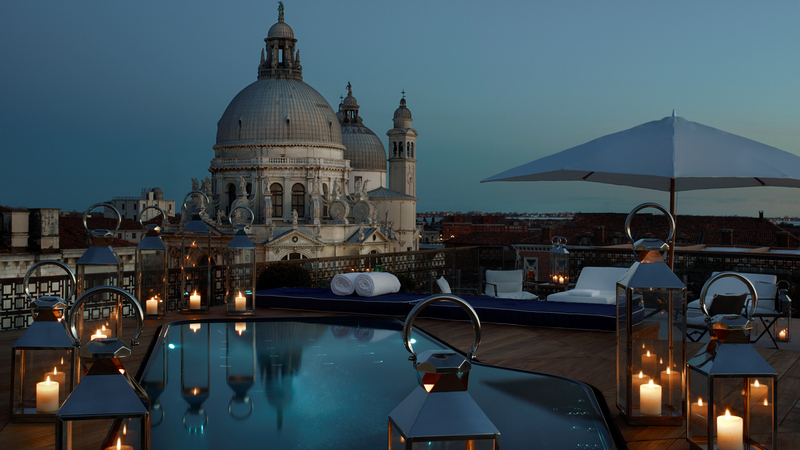 An elegant and relaxing space, carefully designed in every detail, the spa creates an intimate and unique ambiance in which to relax after an intense day spent discovering the wonders of Venice. 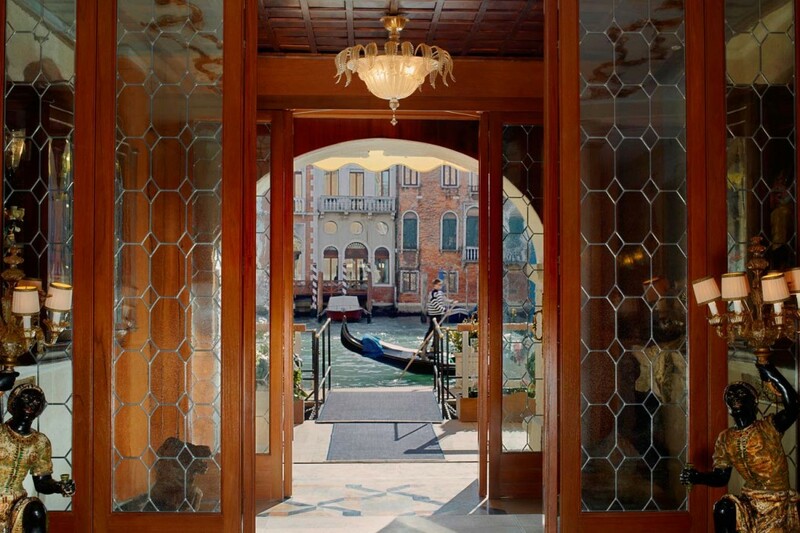 The Gritti Palace stands as a refined version of its iconic self: 82 magnificently restored rooms, each a work of Venetian art, including a collection of 21 sumptuous suites. 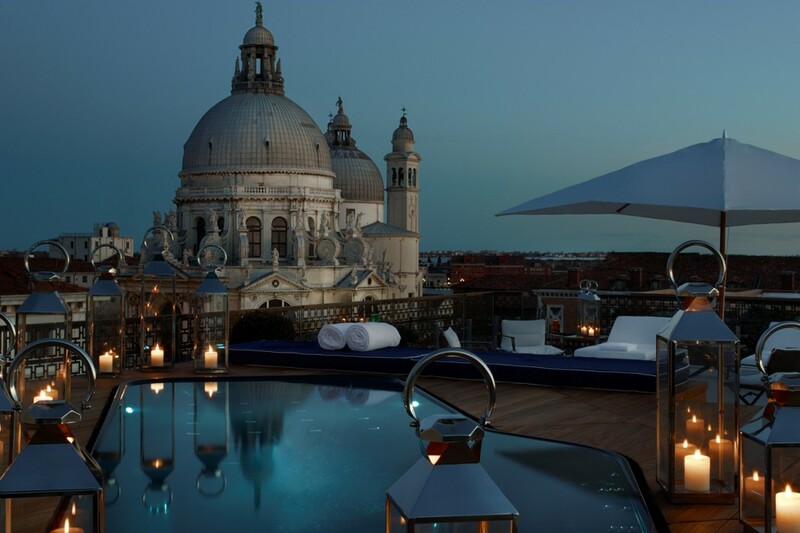 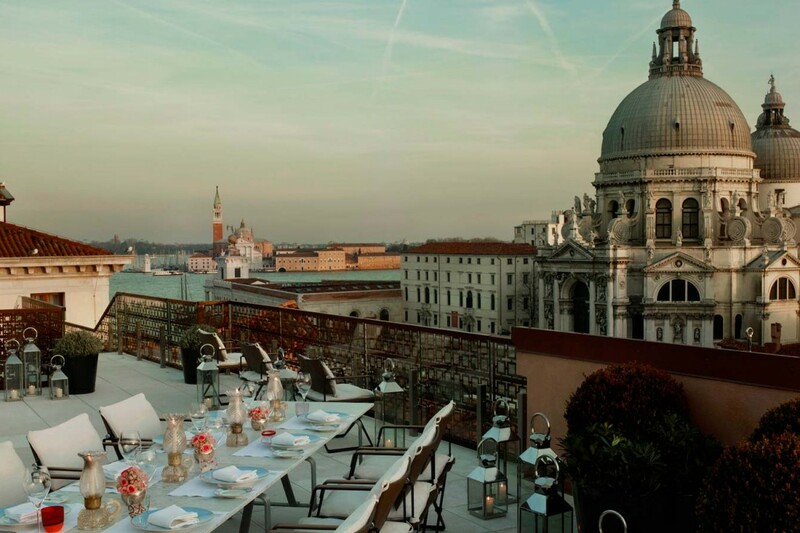 Of these, ten unique suites are inspired by famous past guests such as Hemingway, Somerset Maugham, Ruskin, and Peggy Guggenheim, after art and cultural institutions such as Punta della Dogana, La Fenice, and by traditional festivities such as the Redentore Suite, whose one-of-a-kind 250m rooftop terrace affords views of the Grand Canal, the Giudecca island and southern lagoon. 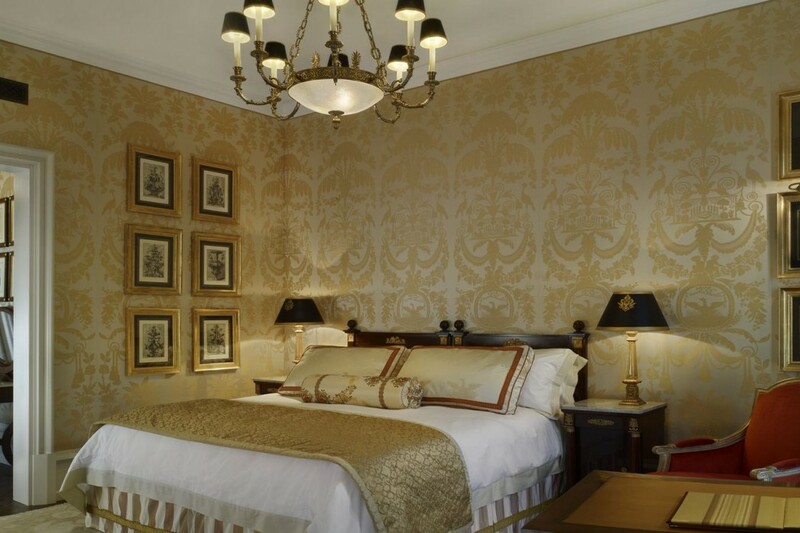 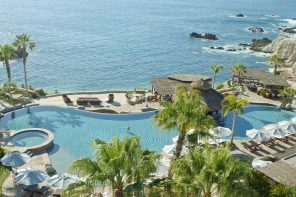 All rooms have been updated with the latest in state-of-the-art technology. 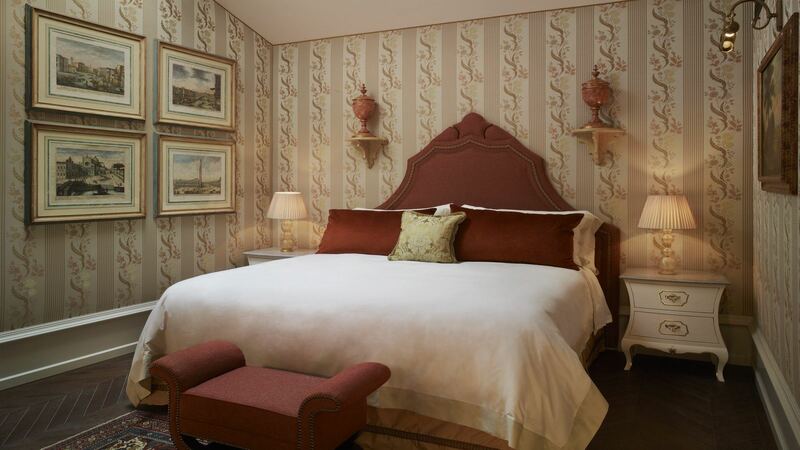 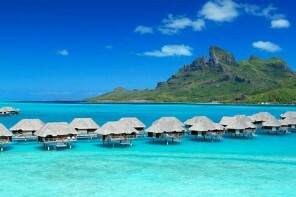 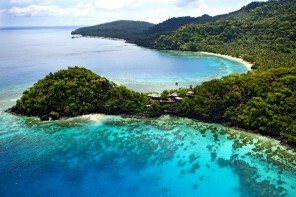 Free Wifi and High Speed Internet available in all guest rooms and public area. 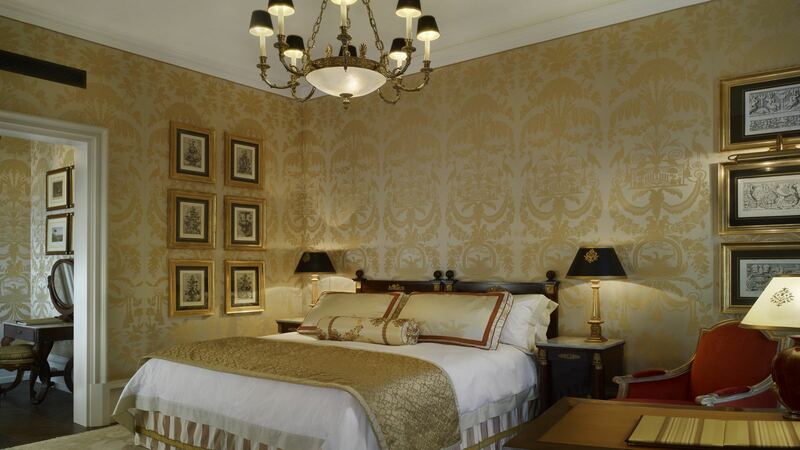 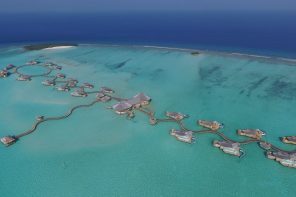 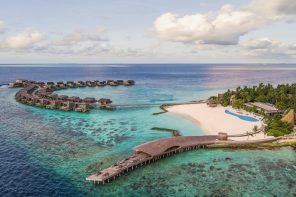 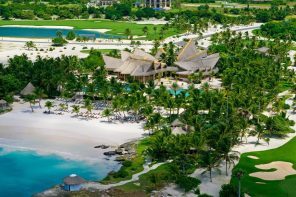 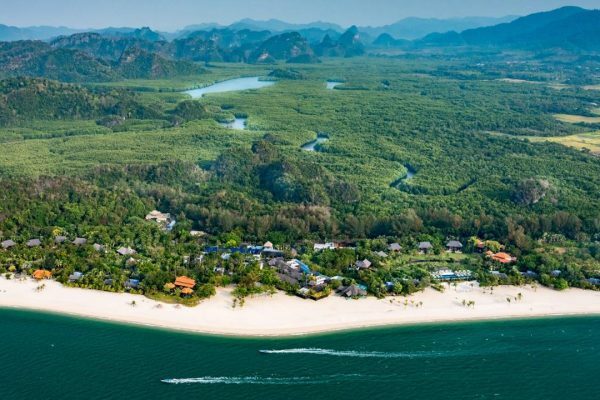 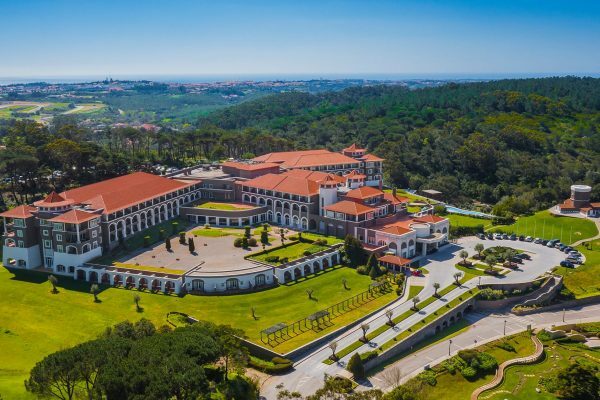 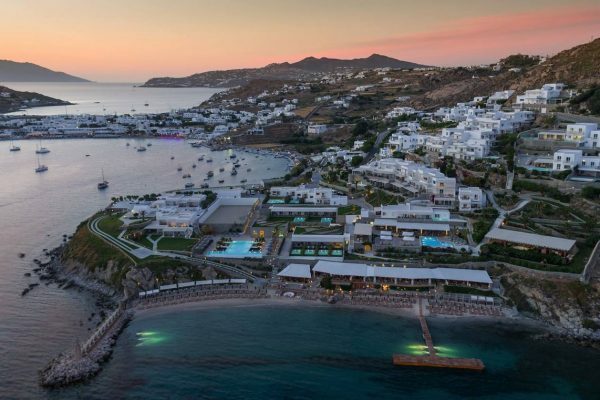 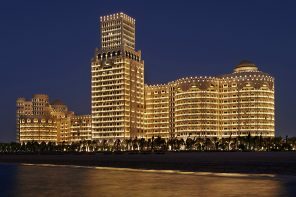 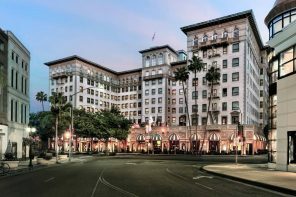 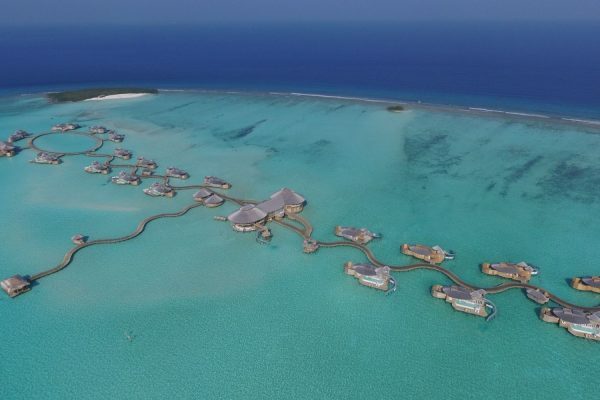 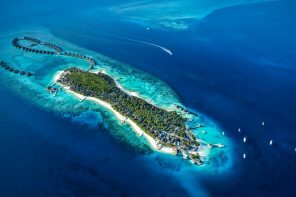 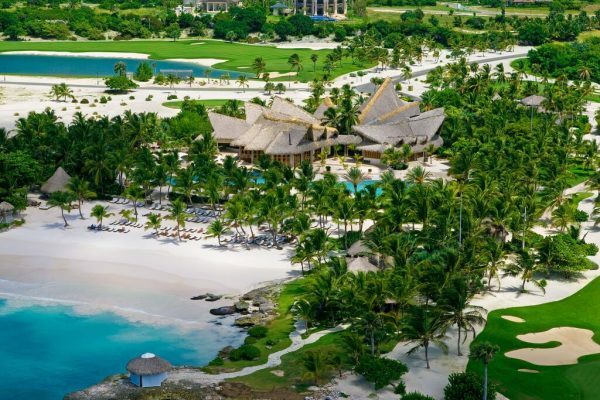 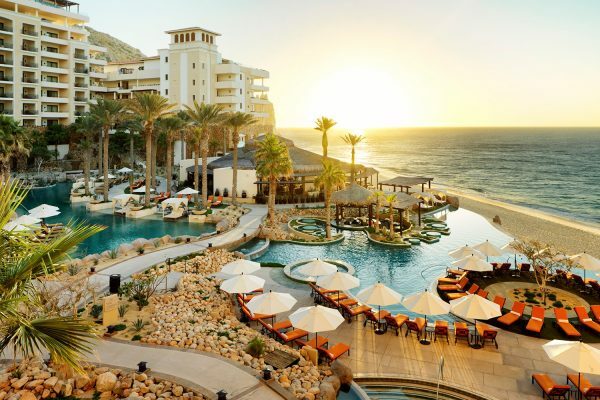 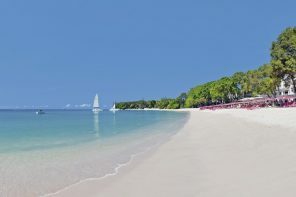 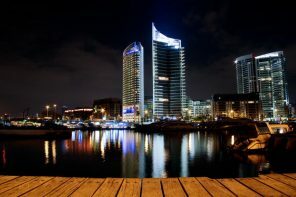 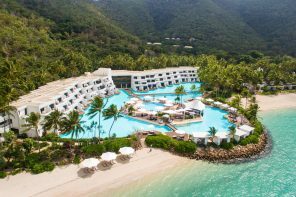 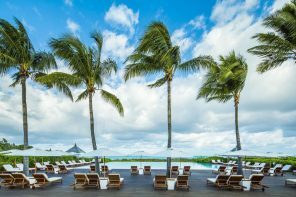 All rooms featuring: Safety Deposit Box, Air Conditioning, Desk, Heating, Shower, Bath, Hairdryer, Bathrobe, Free toiletries, Toilet, Bathroom, Slippers, Telephone, Radio, TV with Satellite Channels, Minibar. 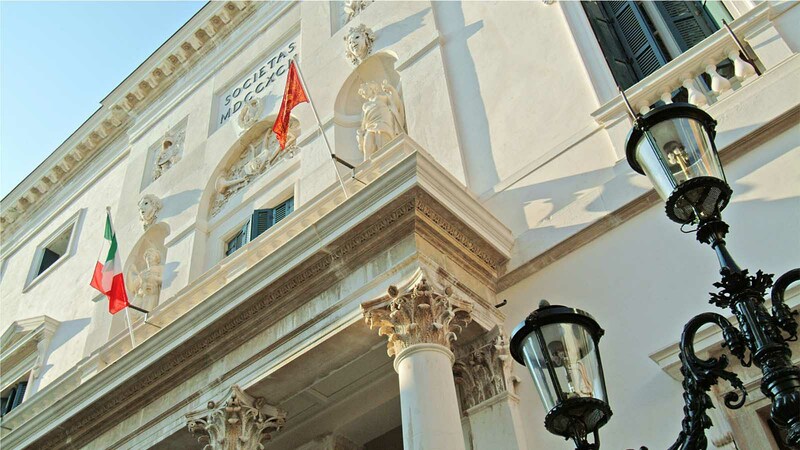 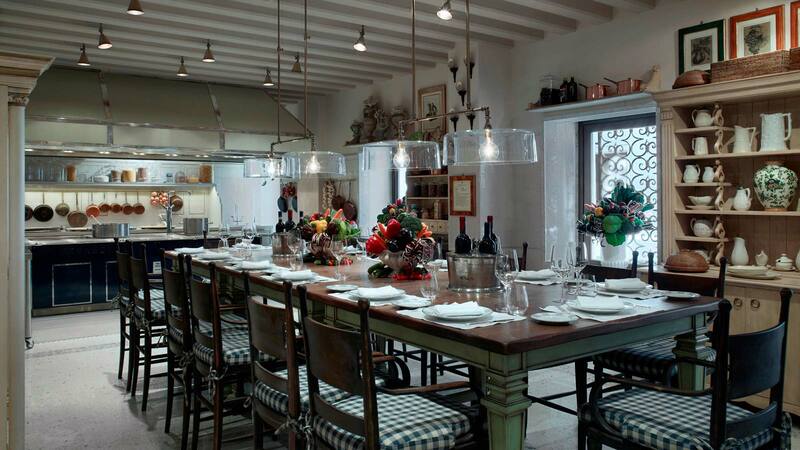 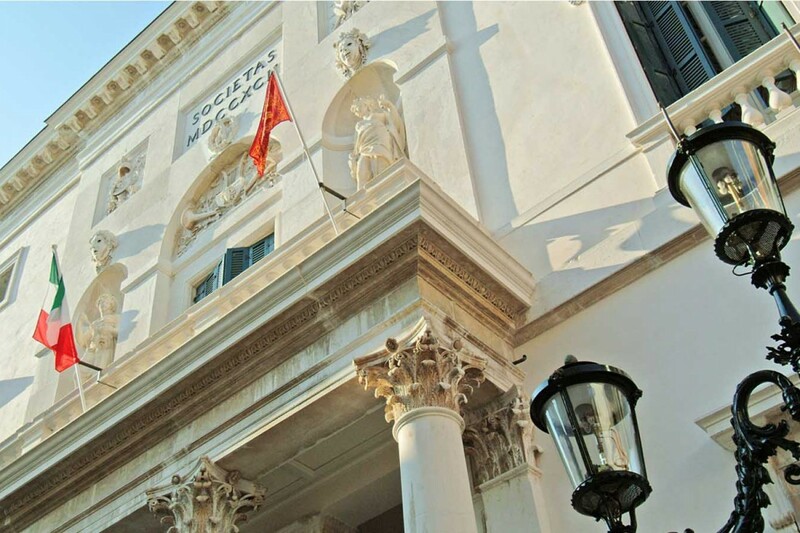 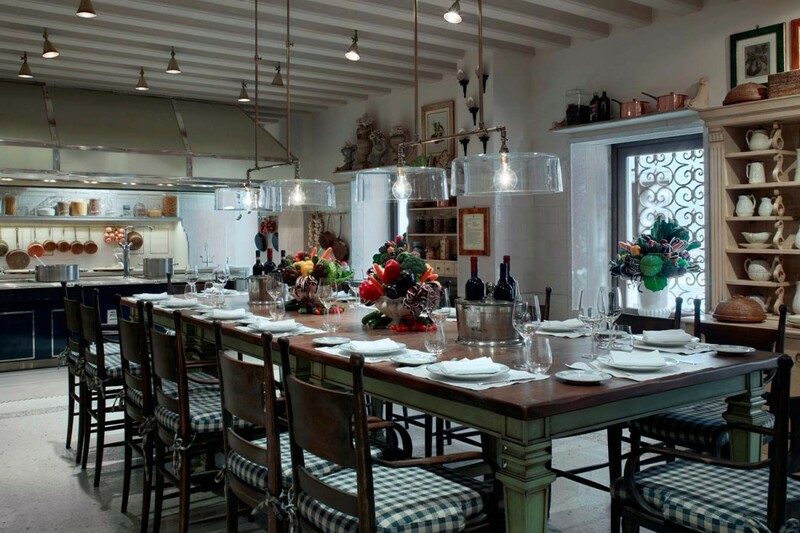 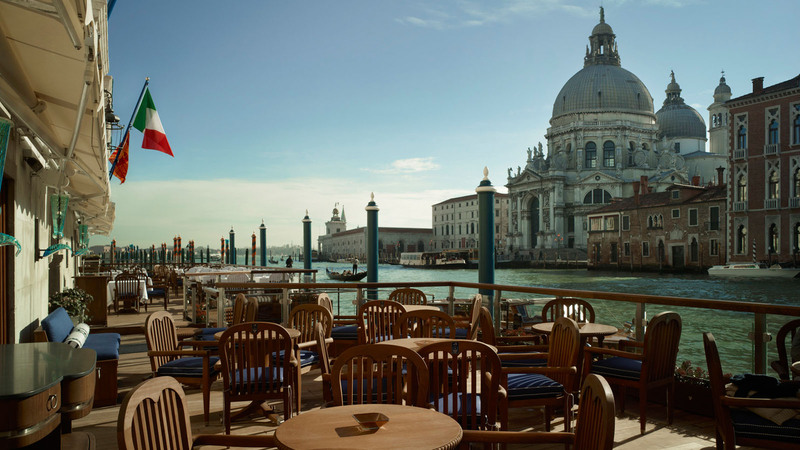 Discover why Venice is not just known for its fine art and scenic vistas by indulging in the culinary excellence at the Restaurant Club del Doge and Bar Longhi. 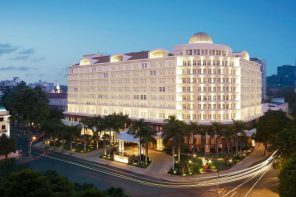 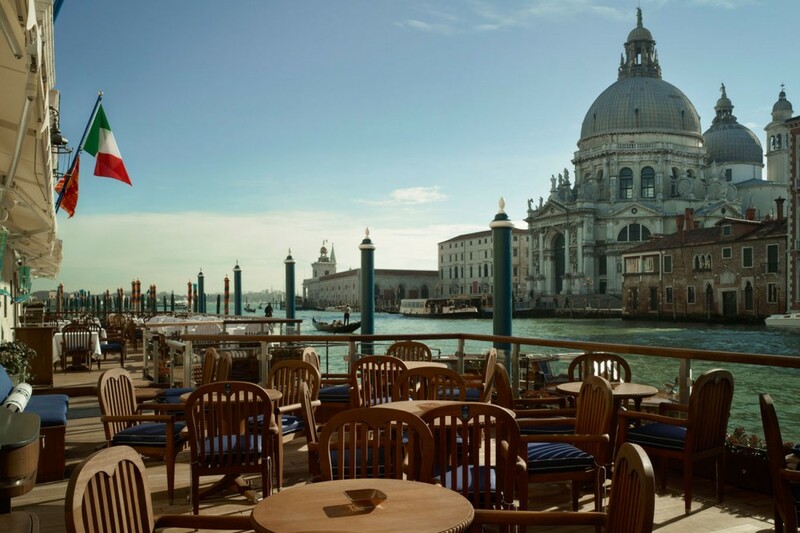 Savor the local, fresh ingredients and Venetian tradition that are elaborated upon in Executive Chef Daniele Turco’s famous recipes. 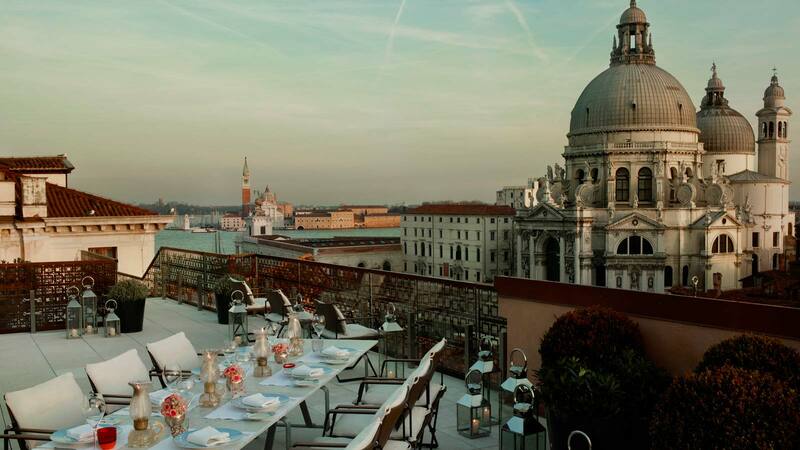 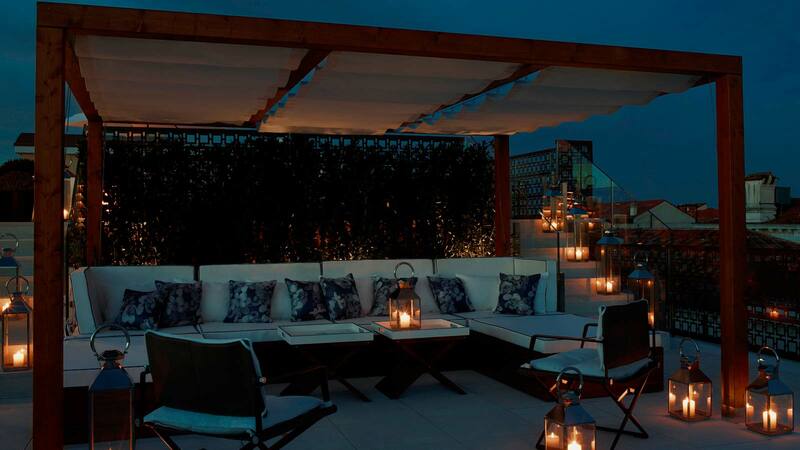 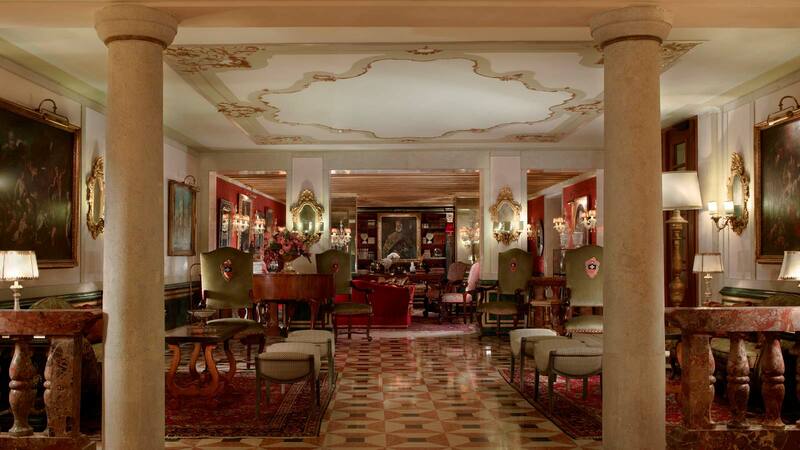 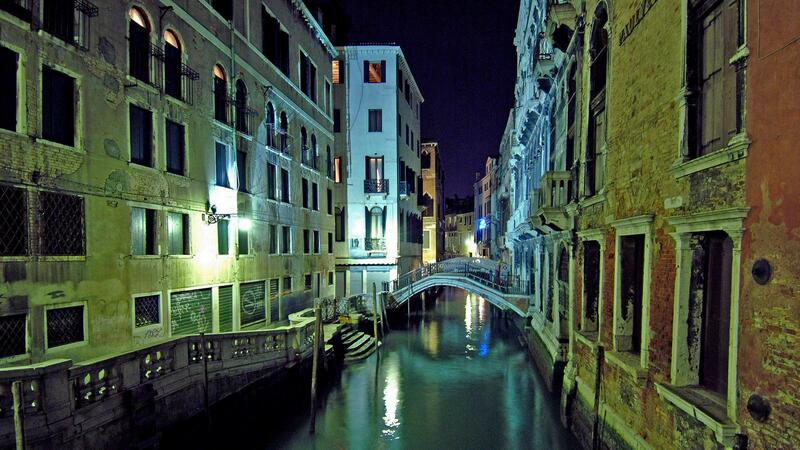 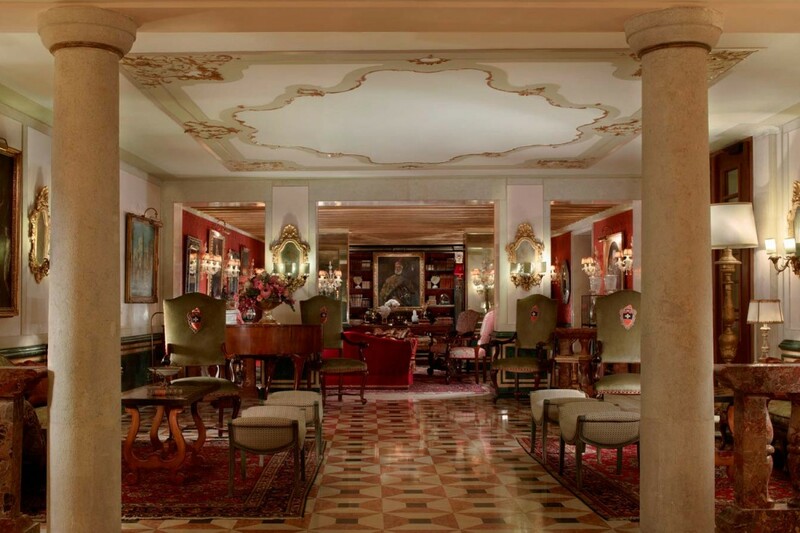 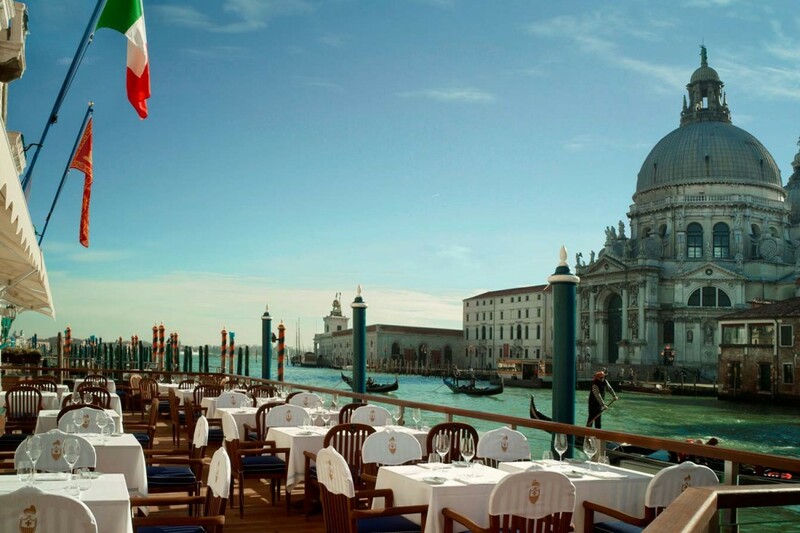 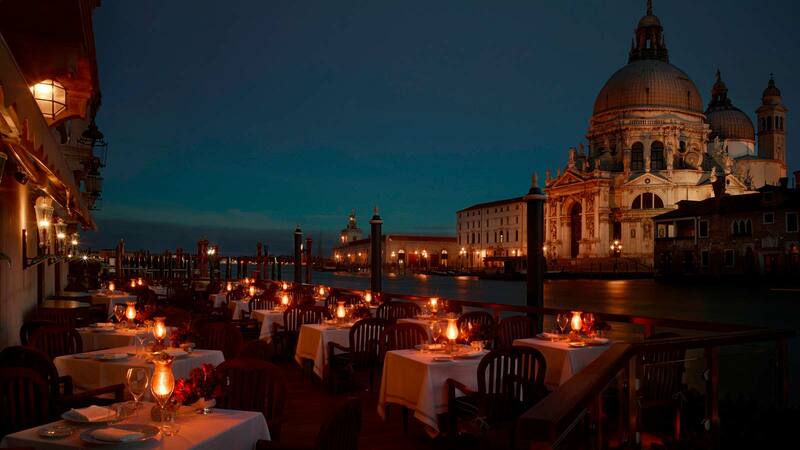 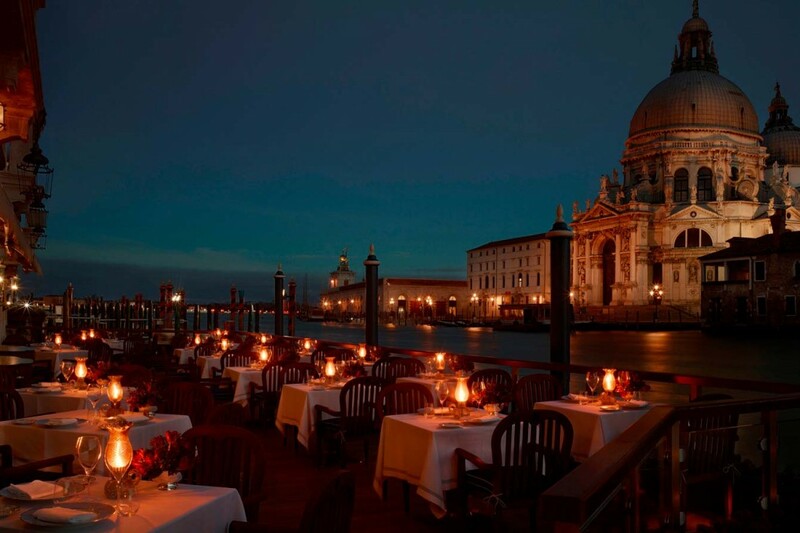 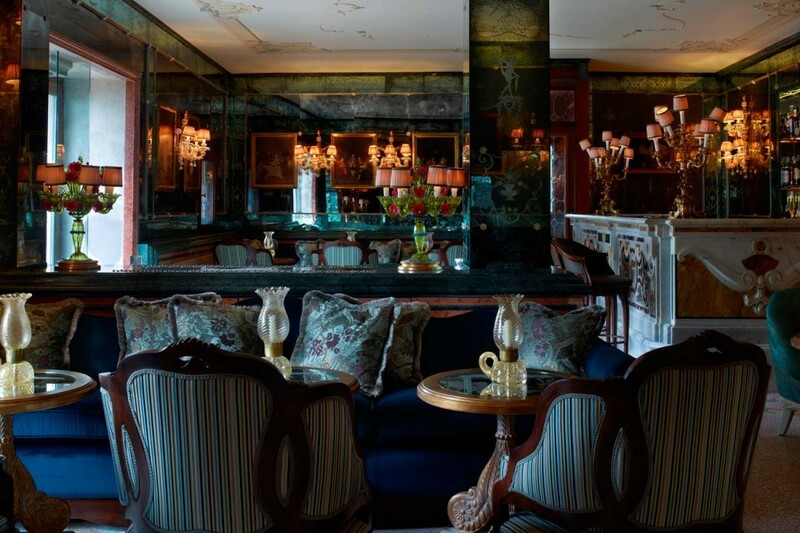 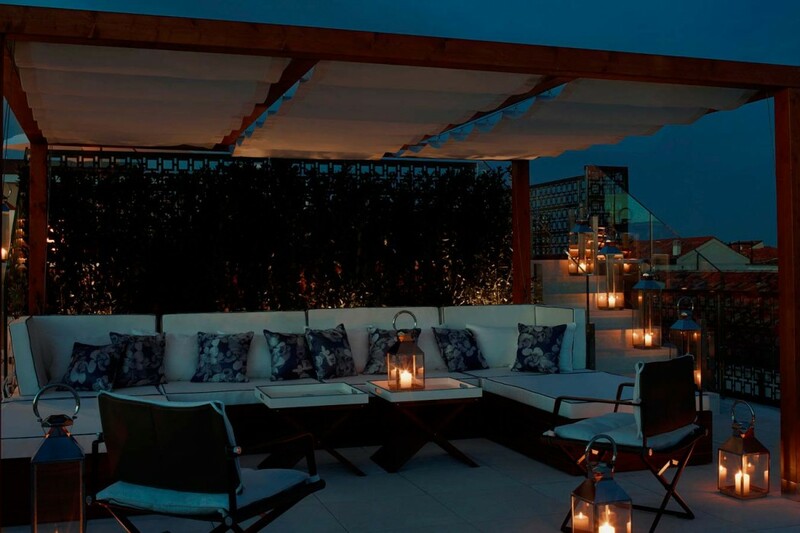 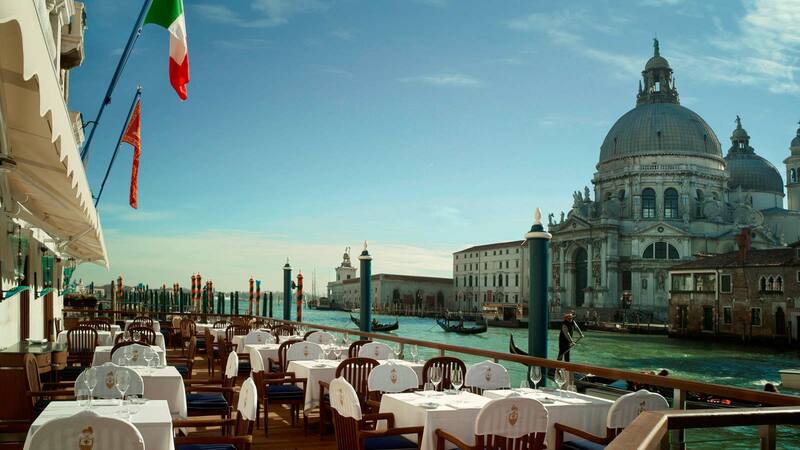 Enjoy Bar Longhi’s spectacular Grand Canal terrace, renowned for its elegant décor and atmosphere.